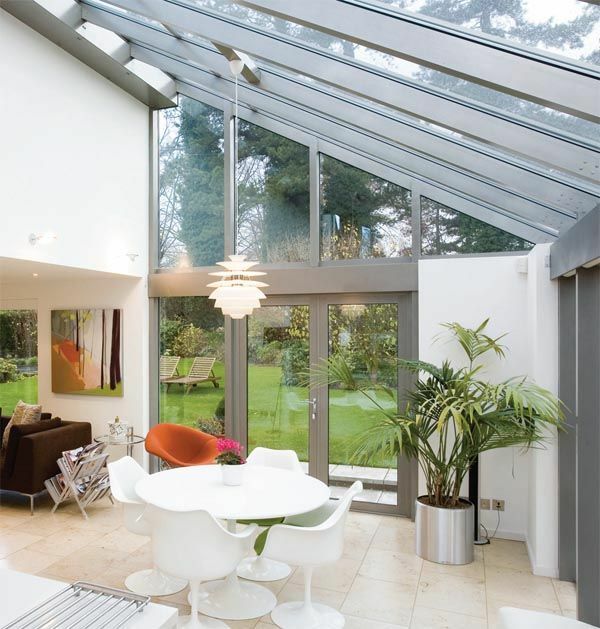 If you have a conservatory or you are thinking about adding this feature to your home, then this article will help you get the right look and feel for your new room. 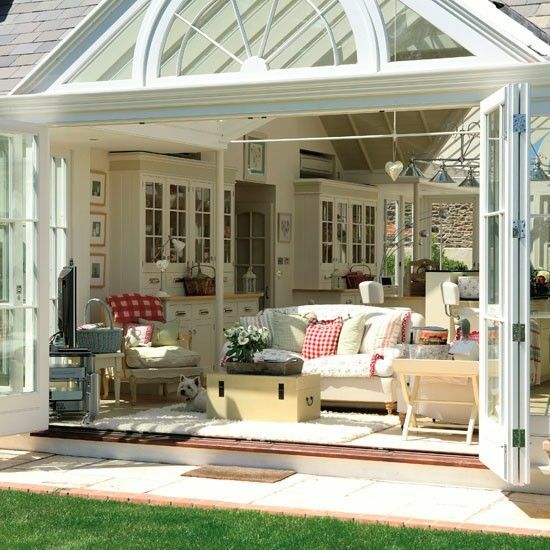 First you should work out what you need the additional space for, conservatories are ideal for adding additional living space, dining, relaxing or for the children to play. Next you will need to decide what type of conservatory you want, the main styles available are the Lean-to, Gable, Victorian, and the Edwardian. You will then need to consider how much garden space you have spare to build the conservatory, it is important that you build a conservatory that will compliment your home and not take over the outdoor space. Once the style and size of the new conservatory has been agreed you can start to look at how the interior of the new room will look. 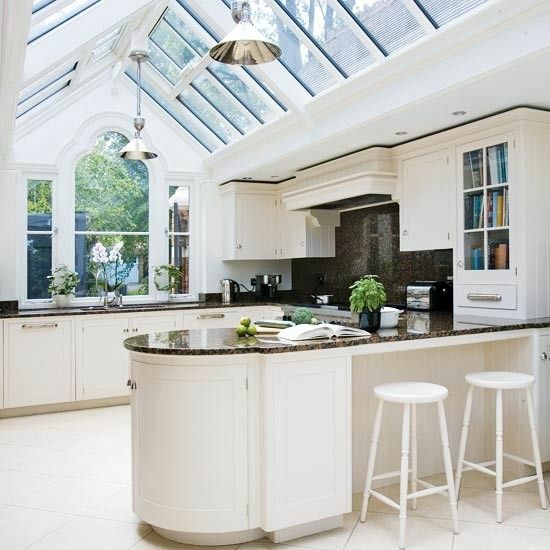 The kitchen is still the heart of the family home and many homeowners want larger open plan kitchens. This is totally possible with a conservatory extension. When planning a new kitchen design try to keep the boiler, plumbing and electricity where it is, as moving these will add additional costs that you can save by keeping them in the same place. When it comes to adding furniture then consider up-cycling, a lick of paint on your old cupboard doors can totally transform the look of your room. Try mixing and matching rather than buying complete sets. Sometimes there is no need to buy all new furniture and appliances look to see what you can up-cycle. Having a place to entertain all year round is high on the home owner’s wish list and a new conservatory is an ideal room to host intimate dinner parties and celebrate family birthdays. If you want to experience a more alfresco dining experience then add a set of bi-folding doors that can be totally opened up on warmer days, allowing the garden to seamlessly join the dining room. 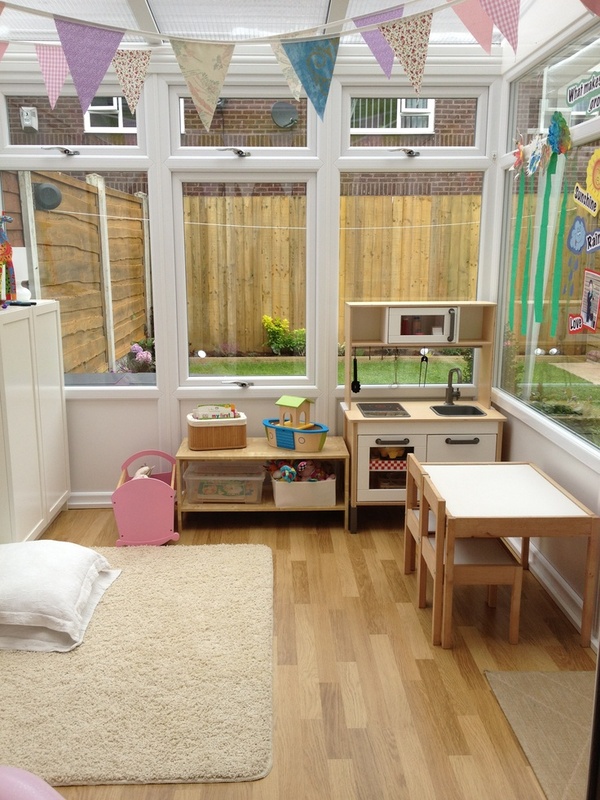 With lots of natural light and the fact that the room is on the ground floor a conservatory designed for your children’s needs is a useful and functional play room. Modern conservatories are useable all year round due to new glazing techniques used by manufactures so there's no need to worry about not using the conservatory over the winter. As we become more aware of the benefits of natural light to our physical and emotional health, large windows, doors and overhead glazing are becoming increasingly popular. This makes a conservatory the perfect place to work. With careful consideration given to the window dressings the conservatory makes a great home office. Having a separate sitting room to the main lounge in the home allows family members to retreat away from the TV and the hustle and bustle of day to day life. It’s a great place to kick back and relax with a good book whilst enjoying the views of the garden.